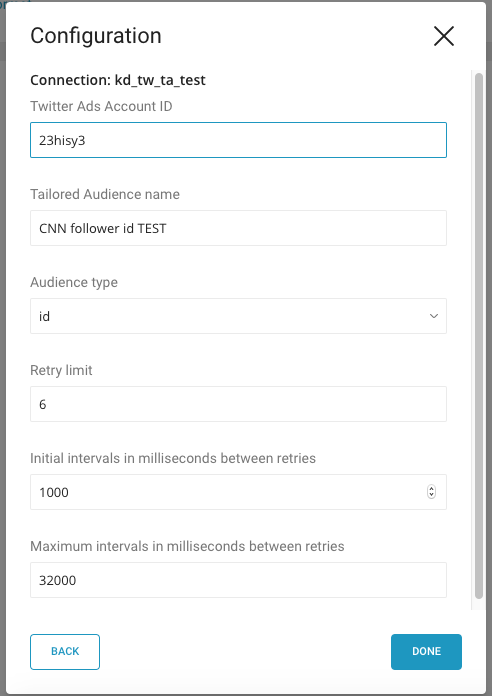 Treasure Data’s new Twitter Tailored Audiences integration enhances Twitter Tailored Audiences by enabling you to reach your target audiences dynamically and automatically based on your customer data stored in Treasure Data CDP. You can create customer segments based on the unified customer data stored in Treasure Data. For example, CRM data can be matched with website browsing logs to create more precisely defined audiences for your advertisements. Once the segments are defined, Treasure Data will automatically create and populate the Twitter Tailored Audiences with those segments. For an existing audience, Treasure Data simply adds new users to that existing segment. The created customer segments can be used for targeted campaigns across different output channels for optimal reach. For example, if a created customer segment does not reach many of the targeted audience via Facebook Custom Audiences, you can easily re-use that segment for Twitter Tailored Audiences, all on Treasure Data. The process of creating a new Twitter Tailored Audiences to publishing advertisements can be automated by Treasure Workflow. Twitter audience insights integration is scheduled to be added to Treasure Data later this year. Then, you can easily discover valuable insights about who engaged with your Twitter ad campaign. All of this can be seamlessly done on a single platform by using Treasure Data. 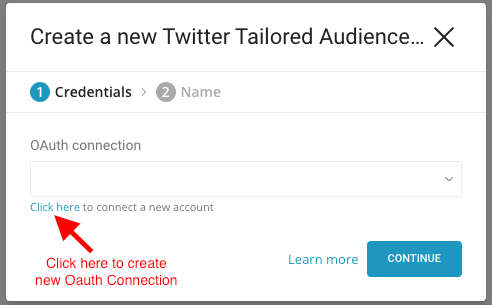 If you are a Treasure Data customer, you should see the Twitter Tailored Audiences icon on the list of integrations. After clicking on the icon, a dialog box pops up. Please select an existing OAuth connection on Twitter or create a new one. Then, go to your query editor and check the “Output results” to select the configuration of your Twitter Tailored Audience output. Then, query to match your customer data with Twitter users by outputting the results to Twitter Tailored Audience. Please reference the Treasure Data for Twitter Tailored Audiences for the full technical documentation.